The NSGEG is a project of the Asan Institute for Policy Studies, Partnership for Global Security, and the Stanley Foundation. Who are the members of the NSGEG? 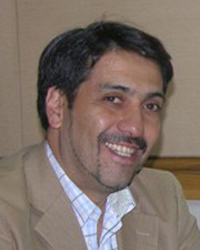 Rodrigo Álvarez Valdés is the Coordinator of the Nonproliferation and Nuclear Disarmament Project and Executive Manager of the Global Consortium on Security Transformation. He participated in the Nuclear Security Summit in Washington, DC, in 2010, and the Nuclear Security Symposium in Seoul in 2012. Mr. Alvarez is Visiting Professor at the University of Rosario, Bogota-Colombia, where he lectures on “Nuclear Security, Non-proliferation and Disarmament in the International System,” and he has been a professor of International Relations at the Chilean Diplomatic Academy Andrés Bello and other universities in Chile. He is the author of Nuclear Arms: The Uncertainty of Nonproliferation and Disarmament (2008) and has written a number of articles on nonproliferation. Irma Arguello is committed to public service as Founder and Chair of the NPSGlobal Foundation, a private and non-profit initiative. She is currently a member of the Fissile Materials Working Group Steering Committee, and has been a speaker at several events related to the NSS process, such as “Next Generation Nuclear Security: Meeting the Global Challenge,” in Washington, DC, in April 2010; “The Conference on the 2012 Seoul Nuclear Security Summit and Next Generation Nuclear Security,” in Seoul in November 2011; and the Nuclear Security Symposium in Seoul in March 2012. In this sense, she has performed research on an optimum design for a Nuclear Security brand-new Global Architecture and Governance. 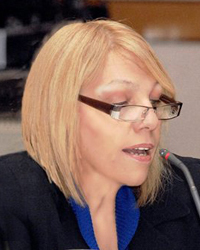 She was recently appointed as Head of the Secretariat of the Latin American Leadership Network (LALN), an initiative carried out in partnership with the Nuclear Threat Initiative and the Nuclear Security Project, which gathers high level former ministers, politicians and diplomats in the region to improve public understanding, shape public opinion and influence political decision-making and diplomatic activity on today’s nuclear threats. She is also a member of the Advisory Board of the PIR Center in Russia and head of several research teams. Her education includes Defense and Security studies, a Master’s degree in Business Administration, and a degree in Physics. She is usually appointed to lecture to different international audiences and has written many articles on global security, disarmament, and nonproliferation. 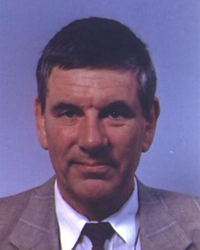 John Bernhard has served in the Danish Ministry of Foreign Affairs as an Adviser on International Law (1979-1989), Undersecretary for Administrative and Consular Affairs (1991-1994), Ambassador and Permanent Representative of Denmark to the IAEA (2005-2011), Member of the IAEA Board of Governors (2009-2011), Vice-Chairman of the IAEA Board (2010-2011), and an Agent of the Danish Government in cases before the International Court of Justice and the European Court of Human Rights. He has held Ambassadorial posts in Venezuela, Spain, the Netherlands, and Austria and has been involved in the United Nations, the Organization for Security and Cooperation for Europe (OSCE), the European Union, and the Council of Europe. Ambassador Bernhard has also taught International Law and EU Law at the University of Copenhagen and has written textbooks for the university on international law and human rights. He holds a B.Sc. in Spanish and a M.Sc. in Law. 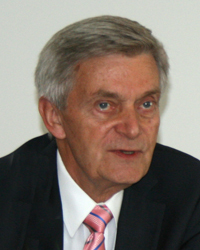 After thirty seven years of diplomatic career in the Danish Foreign Service (1974-2011), Ambassador Bernhard retired and is now an international adviser on a freelance basis. Kenneth C. Brill currently serves as a member of the board for The Stimson Center. Ambassador Brill completed a 35-year career in the U.S. Foreign Service in April 2010 and subsequently served as the President of The Fund for Peace from November 1, 2010, to October 31, 2011. In his final Foreign Service assignment, he was the founding Director of the U.S. National Counterproliferation Center (NCPC), which is part of the Office of the Director of National Intelligence. Ambassador Brill served as NCPC’s Director for almost five years. Ambassador Brill completed numerous overseas assignments with the Department of State included serving as Ambassador to the IAEA and the UN Office in Vienna, Ambassador to the Republic of Cyprus, and acting-Ambassador and Deputy Chief of Mission at the U.S. Embassy in New Delhi, India. His domestic assignments in the Department of State included service as acting-Assistant Secretary and Principal Deputy Assistant Secretary of State for the Bureau of Oceans and International Environmental and Scientific Affairs, Executive Secretary of the Department and Special Assistant to the Secretary of State, and Director of the Office of Egyptian Affairs. Ambassador Brill is a graduate of Ohio University and received his MBA from the University of California at Berkeley. 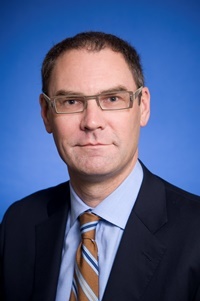 Bart Dal is the former national coordinator for Nuclear Security and Safeguards in the Netherlands, working for the inspectorate of the Ministry of Infrastructure and the Environment. He studied Chemistry and Physics in the University in Utrecht and became a radiological expert after studies on the universities of Leiden and Delft. He has worked in the nuclear industry for several years at the start of his career. Bart joined the national Government after the Chernobyl accident where he set up the National Emergency Plan for Nuclear Accidents as the Ministry’s Crisis Management Director. In 2003 he was asked by the Ministry to change his attention to security and safeguards. Bart played a central role for Europe in the IAEA consultancy meetings on the INFCIRC225/rev5, as chairman of the European Nuclear Security Regulators (ENSRA). He also set up the IAEA Regional Training Program on Physical Protection and related topics for European countries and made the Netherlands the first country to have the IAEA International Physical Protection Advisory Service (IPPAS) visit all installations in the country from 2005 onward and do a follow-up mission in 2012. Bart was member of the IAEA Board of Governors from 2009 to 2012. Early 2013 he will retire from his current position as regulator and join the coordination team of the Ministry of Foreign affairs for the preparation of the Nuclear Security Summit, which will be held in The Hague, Netherlands in March 2014. Trevor Findlay holds the William and Jeanie Barton Chair in International Affairs at the Norman Paterson School of International Affairs at Carleton University in Ottawa, Canada. He is also a joint Fellow with the International Security Program and the Managing the Atom Project at the Belfer Center on Science and International Affairs at the Harvard Kennedy School, Harvard University. In addition he is a member of the UN Secretary-General's Advisory Board on Disarmament Matters. Dr. Findlay's most recent work is Unleashing the Nuclear Watchdog: Strengthening and Reform of the International Atomic Energy Agency for the Center for International Governance Innovation in 2012. He is currently working on a book on the IAEA. Han Yong-Sup is Vice President of the Korea National Defense University, where he is also a Professor of Military Strategy. He recently served as an Advisory Member for the Republic of Korea Preparation Committee for the 2012 Seoul Nuclear Security Summit and as an Advisory Member for the ROK-China Experts Research Committee. He has been a staff member of the Center for Nonproliferation Studies in the Monterey Institute for International Affairs, as well as a Visiting Fellow at the United Nations Institute for Disarmament Research and at the RAND Corporation. Dr. Han has also been a consultant for the Korean National Security Council and Director of the Research Institute for National Security Affairs at Korea National Defense University (KNDU). He holds a B.A. and M.A. in Political Science from Seoul National University, an M.A. in Public Policy from the Kennedy School of Harvard University, and a Ph.D. in Public Policy from the RAND Graduate School. 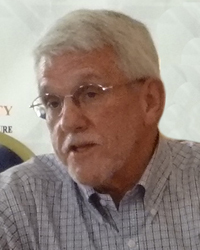 Roger Howsley is the Executive Director of the World Institute for Nuclear Security. 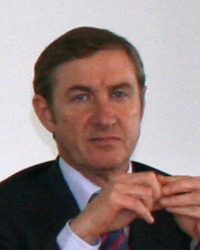 Howsley was the former Director of Security, Safeguards and International Affairs (SSIA) for British Nuclear Fuels Ltd. and has over 25 years international experience relating to nuclear nonproliferation and security across the nuclear fuel cycle, working with the IAEA, Euratom, National Police Forces and security organizations. 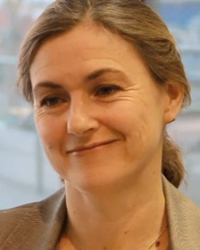 Caroline Jorant is President of SDRI Consulting which is focused on international relations in the energy sector with a special emphasis in nuclear energy. She began her career working for the French government in charge of the coordination of the national positions in relation with the Euratom Treaty. Ms. Jorant spent 13 years with the French nuclear industry, first with COGEMA and then with AREVA, as the Director for Non-proliferation and International Institutions until 2010. 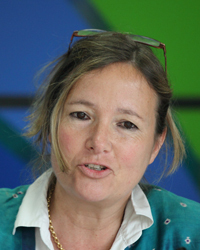 Prior to that, she was appointed as the French representative to the Atomic Questions Group in the EU Council and worked at the French Permanent Representation to the EU (1992-1997). She was also in charge of developing the nuclear strategy for CEA Industrie and at the International Department of the Commissariat à l’Energie Atomique, a research agency, where she was in charge of the cooperation with European states or research agencies. Ms. Jorant has been appointed several times to serve on the Advisory Committee of the Euratom Supply Agency (1999/2008), and she was appointed by the Director General of the IAEA to be a member of the Standing Advisory Group on Safeguards Implementation (2007/2010). She is a member of the American Nuclear Society and Institute for Nuclear Material Management. Ms. Jorant graduated from Sciences Po Paris and INALCO (Chinese) Paris and received a M.A. from Johns Hopkins University in International Relations. Jun Bong-Geun is a Professor in the Korea National Diplomatic Academy at the Institute of Foreign Affairs and National Security. 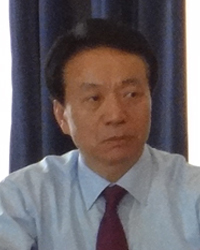 Previously, Professor Jun’s government and NGO positions included: Secretary to the President for international security affairs at the Presidential Office (1993-1997), a professional staffer at the KEDO New York headquarters (1997-2001), Visiting Scholar at Keio University in Tokyo and Japan-Korea Cultural Foundation Academic Fellow (2001-2002), and Policy Advisor to the Minister of Unification (2003-2004). 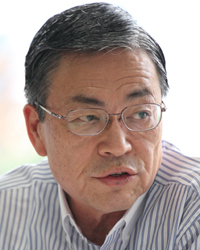 Dr. Jun was a visiting scholar at the Asia Foundation’s Center for U.S-Korea Policy in Washington, D.C., in 2010. Dr. Jun’s research areas include the North Korean nuclear issue, inter-Korean relations, non-proliferation, and nuclear energy policies. Dr. Jun received a B.A. and an M.A. in Political Science from Seoul National University and a Ph.D. in Political Science from the University of Oregon. Togzhan Kassenova is an associate in the Nuclear Policy Program at the Carnegie Endowment and a Stanton Nuclear Security Fellow. 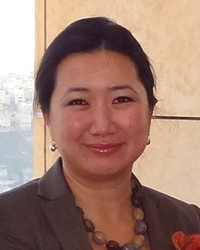 She specializes in weapons of mass destruction nonproliferation issues, with a regional focus on Central Asia and Southeast Asia; nuclear security; strategic trade management; and civilian nuclear energy programs.Kassenova serves on the UN Secretary General’s Advisory Board on Disarmament Matters. She is a member of the Steering Committee of the Fissile Material Working Group and the Council for Security Cooperation in the Asia Pacific. Prior to joining the Carnegie Endowment, Kassenova worked as a senior research associate at the University of Georgia’s Center for International Trade and Security in Washington, D.C., as a postdoctoral fellow at the James Martin Center for Nonproliferation Studies, and as an adjunct faculty member at the Monterey Institute of International Studies. She was previously a journalist and professor in Kazakhstan. Kassenova is the author of From Antagonism to Partnership: The Uneasy Path of the U.S.-Russian Cooperative Threat Reduction (2007). She has published widely in scholarly and policy journals, including Nonproliferation Review, Disarmament Forum, the Bulletin of the Atomic Scientists, and China and Eurasia Forum Quarterly. 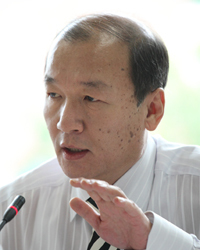 Lee Dong Hwi is a Professor at the Institute of Foreign Affairs and National Security (IFANS), the Korea National Diplomatic Academy, Republic of Korea. He was a Dean of Research at IFANS with a deputy ministerial rank (2000-2004), Senior Associate to the Korea Chair at the Center for Strategic and International Studies in Washington, D.C. (2009-2011), and a Senior Visiting Scholar in 2009 with the G8 and G20 Research Groups of the Munk School of Global Affairs at Trinity College in the University of Toronto, Canada. His research interests include the political economy of East Asia with special focus on North Korea and China, global governance, regional cooperation, and analysis of international negotiation. 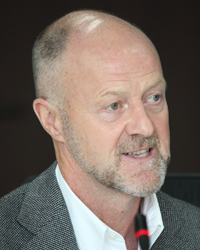 Recently, he has written numerous articles on the G-8 and G-20 and global governance. He holds a B.A. in Economics from Seoul National University and a Ph.D. in political science from Northwestern University. Anya Loukianova is a program officer at the Stanley Foundation focused on nuclear security. In this position, she is responsible for the foundation’s programming on U.S. leadership and international cooperation to effectively secure the global supply of nuclear weapons-usable materials. Previously, she was a research associate at the Monterey Institute's James Martin Center for Nonproliferation Studies (CNS) in Monterey, CA and Washington, DC. At CNS, Anya’s work focused on nuclear weapons and fuel cycle issues in Russia and the former Soviet Union states as well as the elimination of highly-enriched uranium in civilian use. She is working on her dissertation at the University of Maryland's School of Public Policy, where’s she’s been a PhD student in international security and economic policy since 2009. Originally from Tula, Russia, Anya is a native Russian speaker. 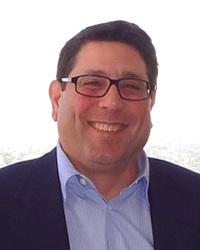 Kenneth Luongo is the President and founder of the Partnership for Global Security (PGS). From 1997- 2004, he also was a Senior Visiting Fellow and Visiting Research Collaborator with Princeton University’s Program on Science and Global Security. Prior to these positions, from 1994-1997, Mr. Luongo served as the Senior Advisor to the Secretary of Energy for Nonproliferation Policy and the Director of the Office of Arms Control and Nonproliferation at the U.S. Department of Energy (DoE). In addition, Mr. Luongo served as the Director of the Department of Energy’s Russia and Newly Independent States Nuclear Material Security Task Force and as the Director of DoE’s North Korea Task Force. Prior to these positions, he served as a professional staff member in the U.S. Congress with the House Armed Services Committee, Senator Carl Levin (D-MI) and Senator William Proxmire (D-WI). Mr. Luongo was also the Senior Washington Representative for Arms Control and International Security with the Union of Concerned Scientists and was a Senior Program Associate at the American Association for the Advancement of Science. Mr. Luongo received his B.S. in Journalism from the School of Public Communication of Boston University and holds an M.A. in International Affairs from the School of International Service of the American University. 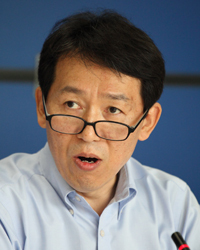 Kenji Murakami is President of the Nuclear Material Control Center (NMCC) in Japan. He is a member of the International Atomic Energy Agency (IAEA) Standing Advisory Group on Safeguards Implementation and an advisor to the Japanese government. Previously, he worked at the IAEA for 27 years as well as at the Japan Atomic Energy Agency (JAEA), at the Tokyo City University Graduate School, and with the NMCC. He also was formerly in charge of the safeguards implementation in the former Soviet Union and European regions and has led many complex inspection missions. Mr. Murakami’s areas of expertise are nuclear non-proliferation, safeguards verification, and nuclear security. 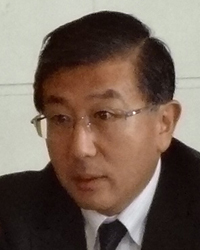 Yosuke Naoi is the deputy director of the integrated support center for nuclear nonproliferation and nuclear security which was established in December 2010 in JAEA followed by the Japanese statement at the Nuclear Security Summit, April 2010. He had been involved in the heavy water reactor development project for a total of 20 years since 1983. From 1998 to 2000, he was on loan to the Japan Ministry of Foreign Affairs as a technical adviser for the KEDO (Korean Peninsula Energy Development Organization) project. He was assigned for the research of the mechanism of assurance of fuel supply based on the contract with Cabinet Assistance Office of GOJ for three years since 2005. From 2010 he was engaged in the preparation for establishment of the integrated support center. Anita Nilsson is the former Director of the Office of Nuclear Security in the Department of Nuclear Safety and Security at the International Atomic Energy Agency, where she was responsible for developing, coordinating and implementing the IAEA´s Nuclear Security Plans, the latest for 2010-2013, to prevent, detect and respond to acts of nuclear terrorism and threats thereof. 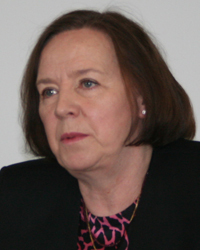 Ms. Nilsson worked in various managerial and leadership positions at the Swedish Nuclear Power Inspectorate before joining the IAEA, dealing with nonproliferation, international and national safeguards, bilateral nuclear supply, and cooperation. She was in charge of the Swedish nuclear security support to the Newly Independent States and the Baltic States. Since leaving the IAEA, she leads an international network of experts for worldwide nuclear security implementation, anchored in AN & Associates LLC. 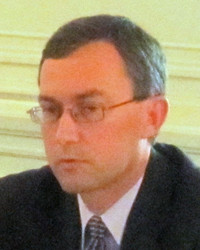 Everett Redmond is Senior Director, Nonproliferation and Fuel Cycle Policy at the Nuclear Energy Institute (NEI). In this role at NEI, he is responsible for coordinating industry policy and programs related to current and advanced fuel cycles, including both the front-end (mining, enriching, conversion, fabrication) and the back-end of the fuel cycle (storage and disposal), and nonproliferation. Prior to this role, he was responsible for generic regulatory matters related to commercial used fuel storage and transportation in the United States. Mr. Redmond has been with NEI since October of 2006. Prior to joining NEI, he was a Principal Engineer at Holtec International from 1996 through 2006 and was responsible for the radiological design of their dry cask storage and transportation systems. Mr. Redmond holds a Doctor of Philosophy from the Massachusetts Institute of Technology in Nuclear Engineering (1997). Andrew K. Semmel is the Executive Director of the Partnership for a Secure America and a private consultant at AKS Consulting. From March 2003 to December 2007, he was Deputy Assistant Secretary of State for Nuclear Nonproliferation Policy and Negotiations in the Department’s International Security and Nonproliferation bureau. Dr. Semmel served as the first executive director of the US-China Security Review Commission from September 2001 to January 2003. Following two years as a professional staff member of the Senate Foreign Relations Committee, he served for nearly fifteen years as Senator Richard G. Lugar’s senior legislative assistant for foreign policy. He received his Ph.D. from the University of Michigan and has taught at the University of Cincinnati, Georgetown University, and Moravian College. Dr. Semmel has authored or coauthored numerous publications on foreign policy and national security. He sits on the Board of Directors of the Partnership for a Secure America, a nongovernmental organization devoted to promoting bipartisan foreign policy. Sharon Squassoni serves as Director and Senior Fellow of the Proliferation Prevention Program at the Center for Strategic and International Studies (CSIS). 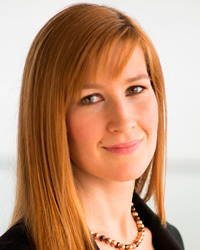 Prior to joining CSIS, Ms. Squassoni was a Senior Associate in the Nuclear Nonproliferation Program at the Carnegie Endowment for International Peace. Ms. Squassoni began her career in the U.S. government as a nuclear safeguards expert in the Arms Control and Disarmament Agency. She served in the executive branch of government (1992-2001), advised Congress as a senior specialist in weapons of mass destruction at the Congressional Research Service (CRS), Library of Congress (2002-2007), and before joining CRS, she worked briefly as a reporter in the Washington bureau of Newsweek magazine. Her last position was Director of Policy Coordination for the Nonproliferation Bureau at the State Department and she also served as a policy planner for the Political-Military Bureau at State. Ms. Squassoni received her B.A. in Political Science from the State University of New York at Albany, an M.A. in Public Management from the University of Maryland, and an M.A. in National Security Strategy from the National War College. 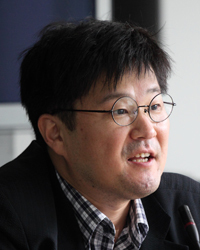 Shin Chang-Hoon is a Research Fellow and the Director of the Nuclear Policy and Technology Center at the Asan Institute for Policy Studies. He also simultaneously serves as the Director of the International Law and Conflict Resolution Program at the Institute. He specializes in dispute settlement, law of the sea, international environmental law, and international humanitarian law. He has taught public international law, international organizations, international economic law and the law of the sea as a lecturer at Seoul National University and Myongji University. He has been an active participant in international conferences held at the International Maritime Organization and is a member of the Compliance Group established by the 1996 London Protocol to the Convention on the Prevention of Marine Pollution by Dumping of Wastes and Other Matter. He received a B.S. from the Electrical Engineering Department and an L.L.M from the School of Law at Seoul National University, and a D.Phil. from the University of Oxford. Page Stoutland is the Nuclear Threat Initiative (NTI) vice president, Nuclear Materials Security and joined the organization in February 2010. He is responsible for NTI's programs to strengthen and maintain security of nuclear materials around the world. Prior to joining NTI, Stoutland spent the last ten years at Lawrence Livermore National Laboratory (LLNL) where he held a number of senior positions, including the director of strategy, program director for Domestic Security and division Leader for Radiological & Nuclear Countermeasures. During this time, he was instrumental in developing and leading LLNL's programs in support of the post-9/11 homeland security effort. 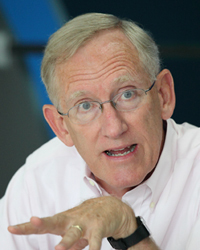 Prior to joining LLNL, he held positions within the U.S. Department of Energy where he served as the director of the Chemical and Biological National Security Program and at Los Alamos National Laboratory. Yoo Hosik is Director of the Nuclear Security Planning Division at the Korea Institute of Nuclear Nonproliferation and Control (KINAC). Mr. Yoo has over 20 years of experience in the nuclear field. He became a registered professional engineer in the field of nuclear engineering in 1999 and metallurgical engineering in 2000. Mr. Yoo has conducted research work on the development of nuclear fuel at the Korea Atomic Energy Research Institute and the Korea Nuclear Fuel Co. In 2005, he joined KINAC. While there he worked in the regulation field related to physical protection and also took part in many projects, such as the establishment of physical protection regimes in the Republic of Korea and the development of design basis threats on the nuclear facility. 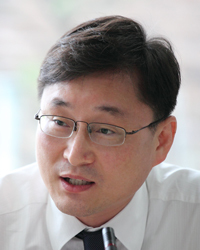 Mr. Yoo has been a project manager on the development project for physical protection since 2007. He earned his B.S. in Metallurgical Engineering and an M.S. from the Korea University and a Ph.D. in Advanced Material Engineering in 2011 from the Choong Nam National University. He is in charge of establishing the test bed in the international training center for nuclear security and non-proliferation.